Jungle justice in Calabar, Cross River State capital is on the rise as barely days after three suspected criminals were burnt to death at Atimbo, Akai Effa, all in Calabar Municipality, another one was rescued by the police. The current one which is the fourth, happened in the early hours of Friday , June 23, at New Secretariat along Murtala Mohammed highway. 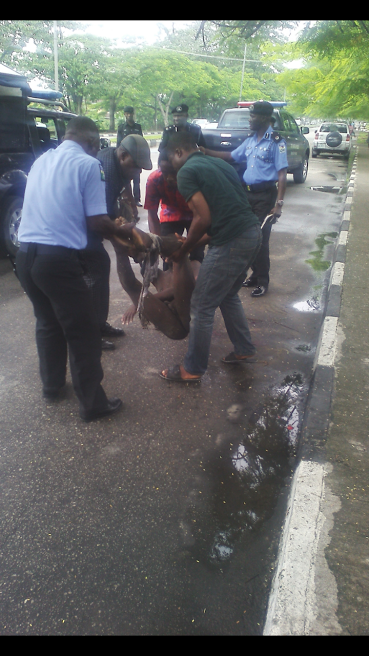 The suspect who is believed to be in his thirties had his body slashed with matchete, legs and hands bound with ropes and dragged to Murtala Mohammed Highway. 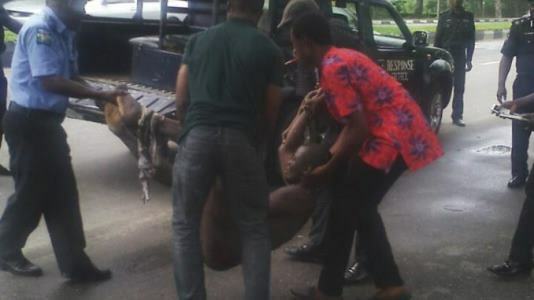 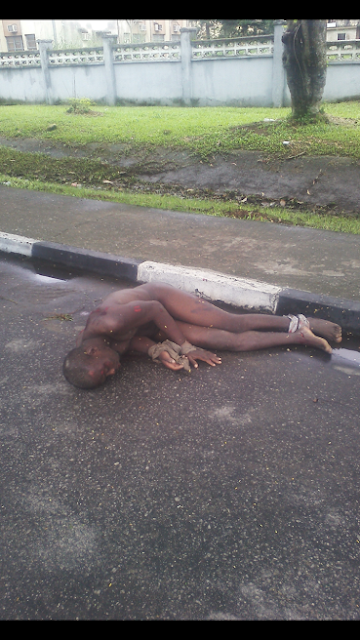 He was about to be set ablaze when a team of policemen arrived and took him to the General Hospital Calabar for treatment. 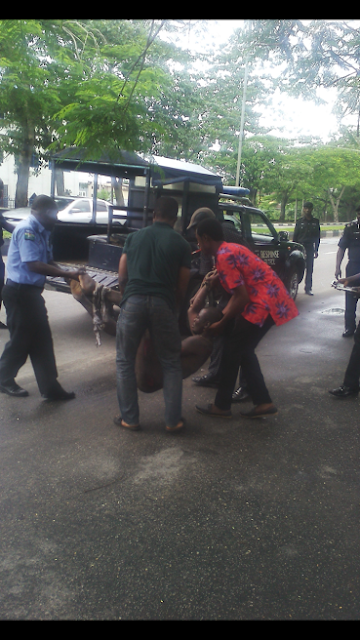 According to Calabar Reporters, someone must have alerted the police to come to his rescue.